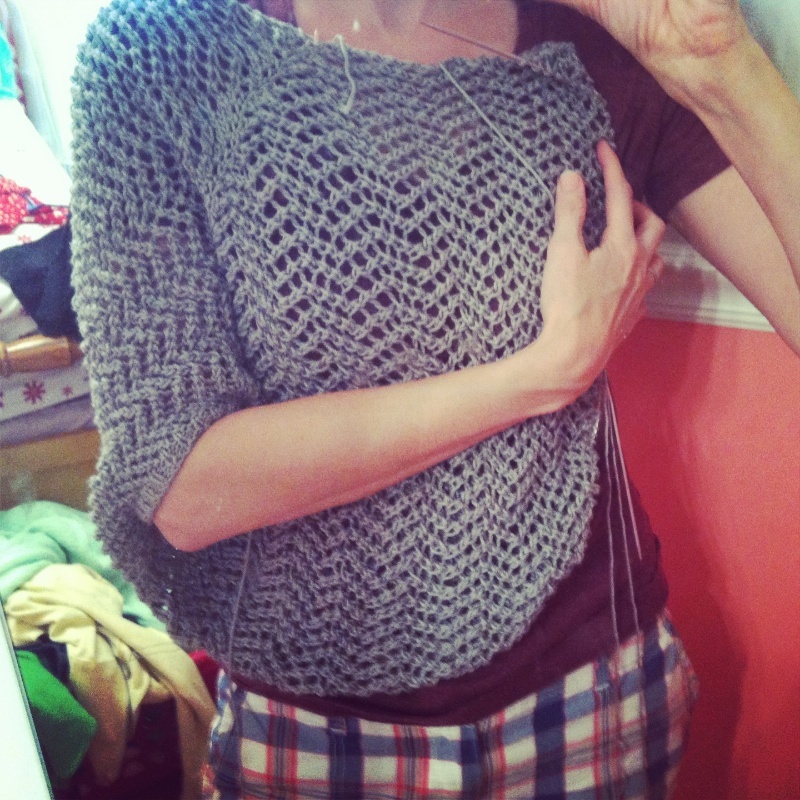 My So- Called Handmade Life: No, Really, it's a Sweater! I sat in a doctor's office this morning with my grandmother, trying to explain how this sweater was made and that it would, in fact, be a sweater when I was finished. Lady Bat has an unusual construction. I don't think I've ever knit a sweater from side to side while also knitting in the round. Then there are flat knitting portions and back in the round. But this intrigues me and keeps things interesting. This is a hard one to photograph in the process because it is partly on circulars. Though it doesn't look like it in a heap on my lap, it is almost halfway through. I can't get over how much you've done on this project. Brava! I know! For starting so last minute, it is knitting up fast. I'd be even further along if I didn't try to watch tv while knitting. It really is Sarah. I love it when the process of making something is as much fun as the wearing of it. ooh, it looks amazing already!! I hope your grandmother has nothing too serious. The sweater is looking great! Thanks, Elena! She is nearing 90 and is having some heart issues that can be controlled with medication. Serious as it sounds, it really isn't that bad. Thanks for asking though.